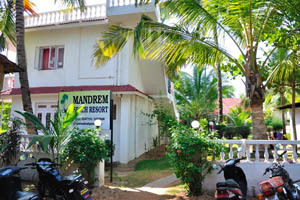 Mandrem Beach Resort, landscape design. 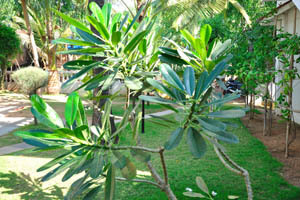 Mandrem Beach Resort territory planted with pachypodiums. 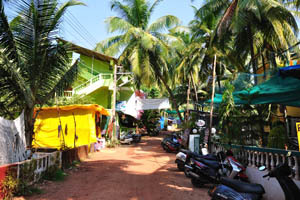 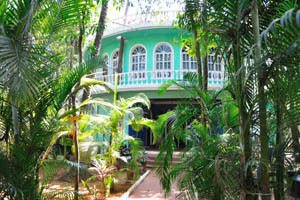 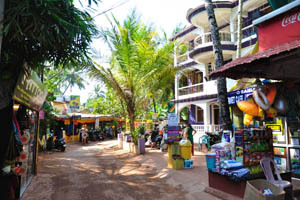 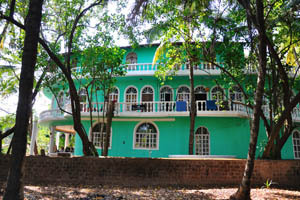 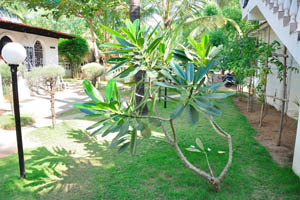 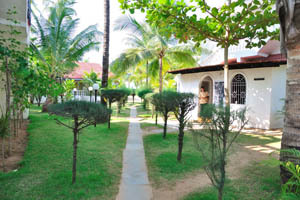 Green yard of the Mandrem Beach Resort. 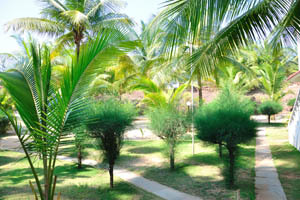 Fluffy trees grow in the green yard of the Mandrem Beach Resort. 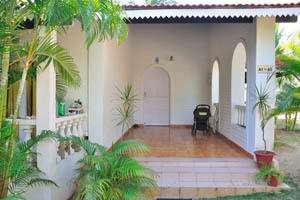 Mandrem Beach Resort, the porch of the cottage. 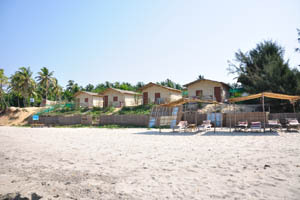 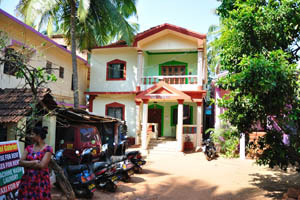 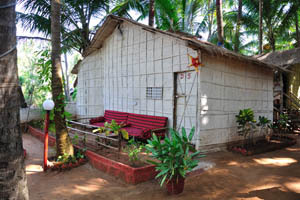 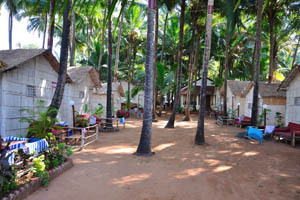 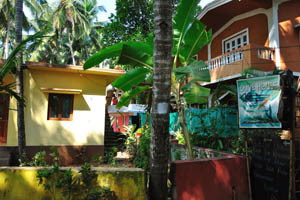 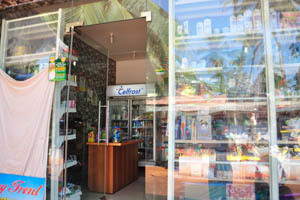 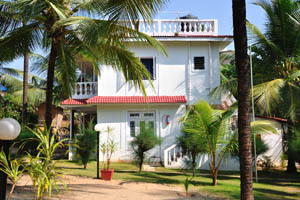 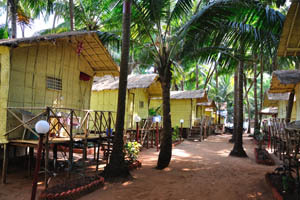 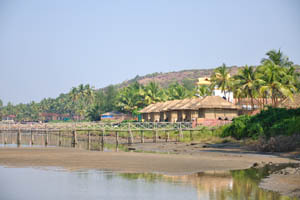 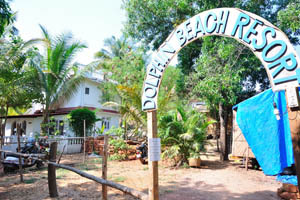 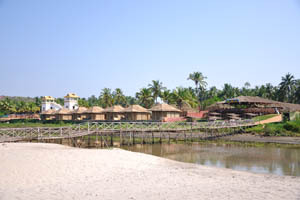 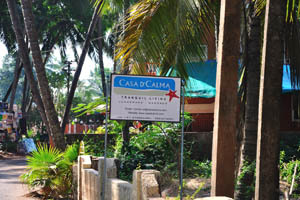 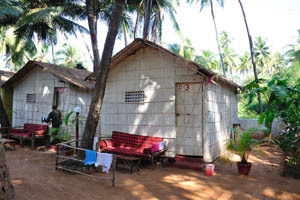 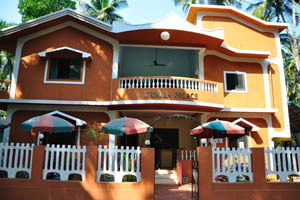 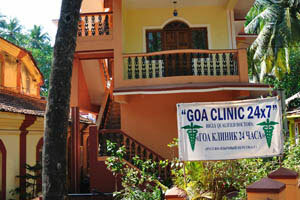 Cottage of the Mandrem Beach Resort. 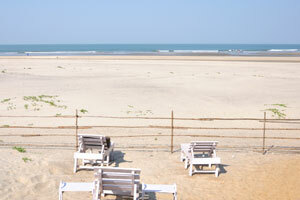 Sea view from the Mandrem Beach Resort. 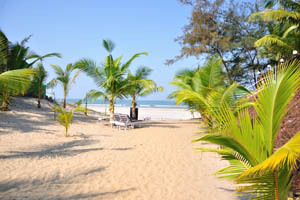 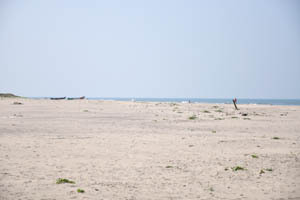 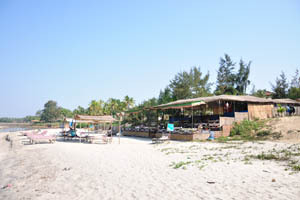 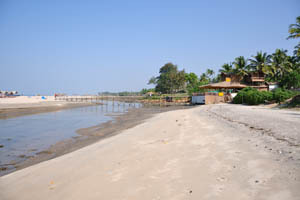 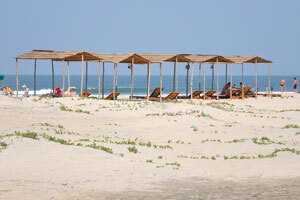 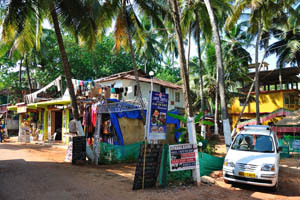 Mandrem beach is wide and open. 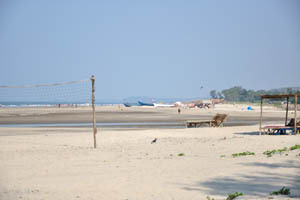 Volleyball net on the beach. 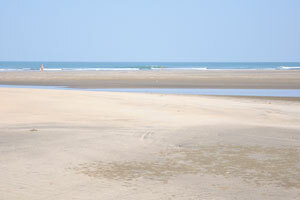 There are not very many people on the beach at noon. 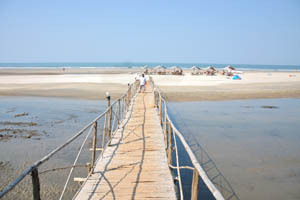 Bridge from the Osaiba bar to the sea. 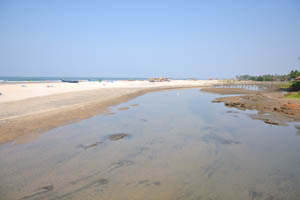 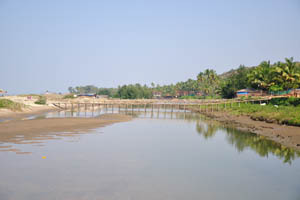 The shallow river on the beach. 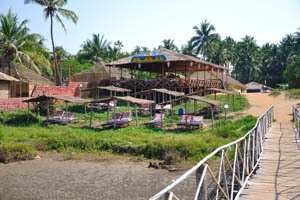 Bridge to the Dunes restaurant. 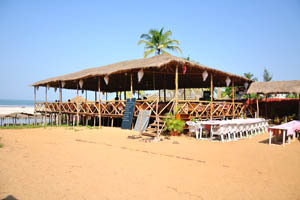 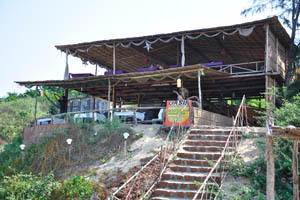 The multi-cuisine open-air Dunes restaurant. 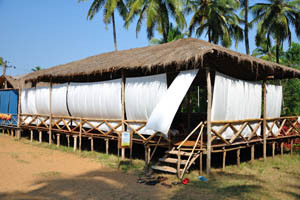 Beach sunbeds under the straw roofs. 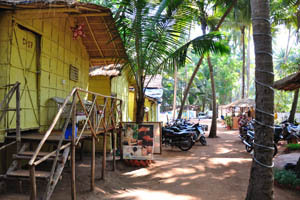 Entrance to the Dunes restaurant. 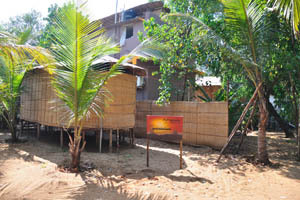 Center of yoga at Dunes. 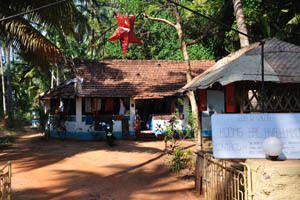 White Castle restaurant, the roadside advertising. 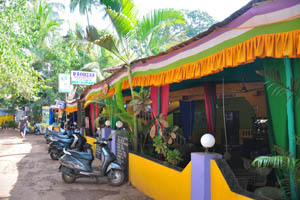 D'Souza's Residency rooms & restaurant. 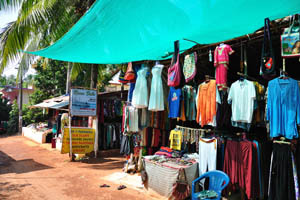 Silk scarves and Kashmere shawls. 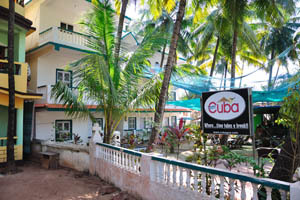 The street near Cuba Retreat. 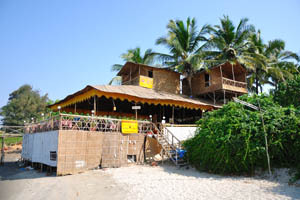 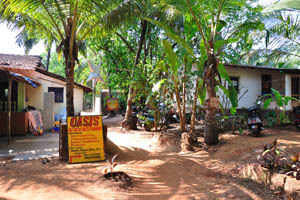 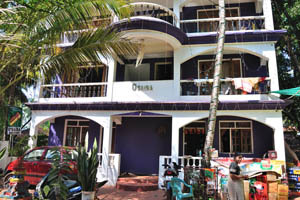 Oasis beach restaurant and rooms.